Why the Toyota Production System Works So Well Every Time? The Toyota production system is so popular because a lot of manufacturers want to emulate it; but it’s not there to serve as an example but actually as an inspiration. We think that there are a lot of lessons to be learned from how Toyota manufactures its cars and what’s important is that you successfully apply it to your company. But what is the Toyota Production system ? 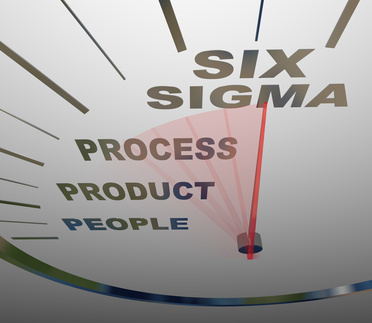 Basically, Toyota has gone beyond the fabled Six Sigma to create the Lean Six Sigma approach to manufacturing. Their approach is designed to create customer value and eliminate waste. They don’t want defects in their system but at the same time they want to deliver exactly what the customers want, when they want it with zero waste. We read about the Lean Six Sigma and the Kanban systems that Toyota has implemented all the time, but we know how tough it is. What Toyota has essentially done is create a company that uses all these tools to create a Zen-like feeling for its manufacturing. This means that even the company culture is filled with this sense of efficiency, consistency and value. How else can such systems be maintained when people don’t live it every day of their lives? So how does Toyota do it? Toyota always starts with its customers. It employs tools to get the feedback they need from their clients and go with that whenever they make decisions on product development. This way, they know that their products are going to sell, they’re making them to customer spec. They don’t determine value from the perspective of their engineers. Their engineers take their cue from customers. Toyota only hires the top engineering graduates. But these engineers have to persuade more than demand how their products are made. This lets the engineers think about the clients and how they can develop products that the clients will love. They’re trained intensively and honed in their skills all the time. Another great thing that the Toyota production system has is that it gives value to all its stakeholders. This includes the suppliers. Instead of the American way of promoting competition to reduce costs on parts, Toyota treats their suppliers as honoured partners that try their best to meet Toyota’s stringent standards and tough demands. Toyota isn’t afraid of making enemies but they are always keen to show respect. Toyota’s production system isn’t driven by technology; it’s supported by it. The company realizes that the fast pace of tech in today’s world is going to hamper them if they’re always running to catch up. What they do is that they make sure the tech is working for them in the most optimal way. If it creates waste or variation, it’s cut off. To set them apart from the pack that’s voraciously adopting tech as it comes out, they always create their own tools or tweak existing outside standards. Toyota’s famed Kanban demand scheduling could be a thing of beauty. We think that the intricacy and control exerted to keep the line moving at a pace that neither drains or overstocks inventory is a work of art and intense control. But keep in mind that this is only a product of company culture that seeks to create operational excellence. At the heart of Toyota’s production system is a strong team orientation and work ethic. We already anticipate that people might say it’s just a Japanese way of saying there’s a hole for every peg but that’s where they are wrong. Every part is important because Toyota has tweaked and managed the system to operate with minimal cost and great results. Each piece, part, process and person is makes a beautiful thing that’s more than the sum of its parts. In the end, Toyota’s production system creates value by consulting with the customer. It creates zero waste, non-existent variation and dominance through strong collaboration and exacting standards.